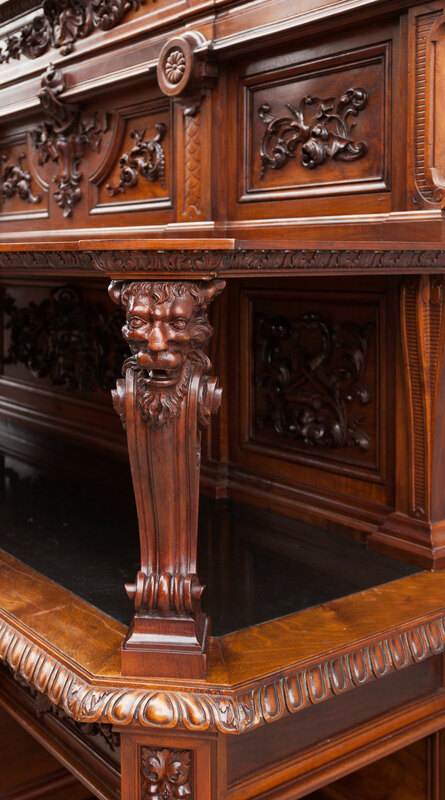 All three pieces are very elaborately carved in walnut with male terminal figures, female bacchante heads, male foliated masks, lion’s head terminal figures, winged dragons, carved borders of egg and dart, lambrequins and acanthus and a profusion of foliated scroll work. 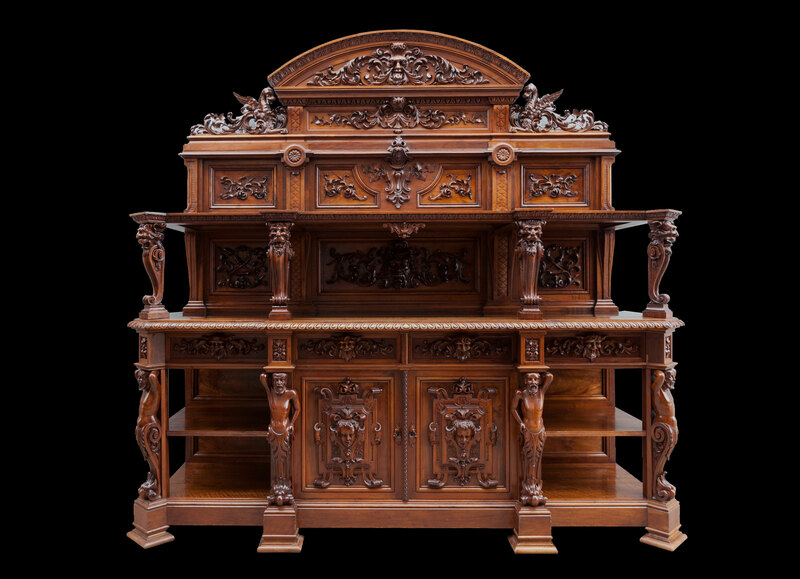 Carved with a central cartouche flanked by scrolling foliage. The canted corners with bearded male terms on foliated ‘S’ scrolls supporting the blockings. 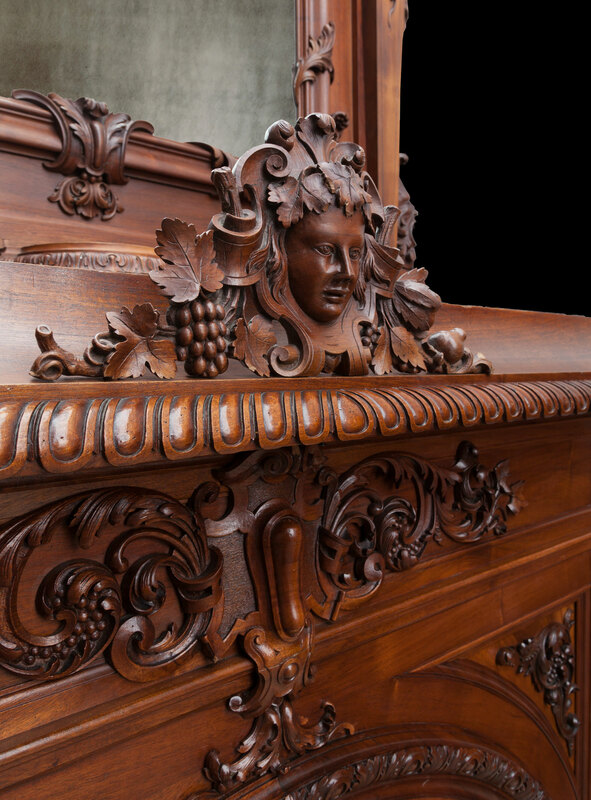 The top with a raised canted top centred by a female bacchante head flanked by vines and fruits. 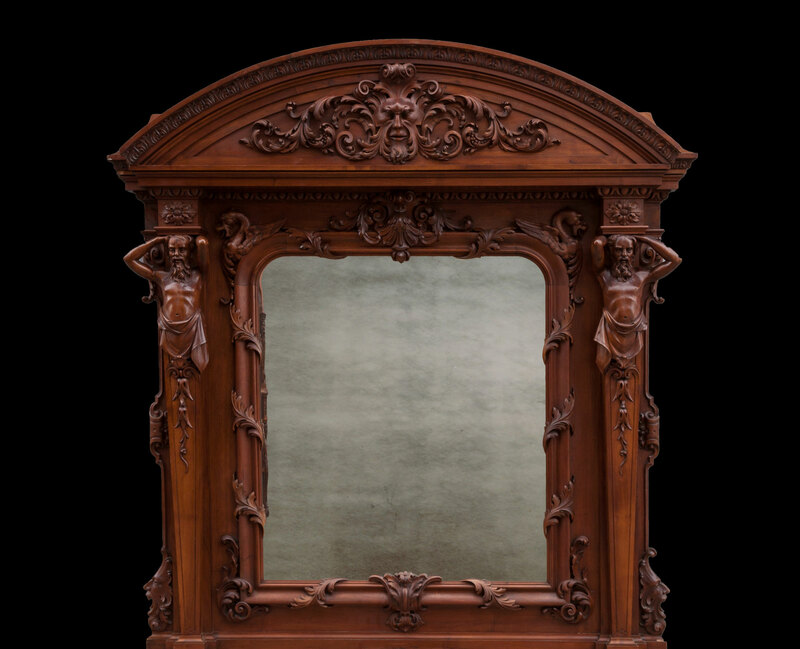 The shelf supports a large mirror with a curved pediment, centred by an elaborate foliated male mask and supported by similar male terminal figures. The arch has an integrated Rosa Portugallo in-ground and hearth, consistent with its Portuguese provenance. 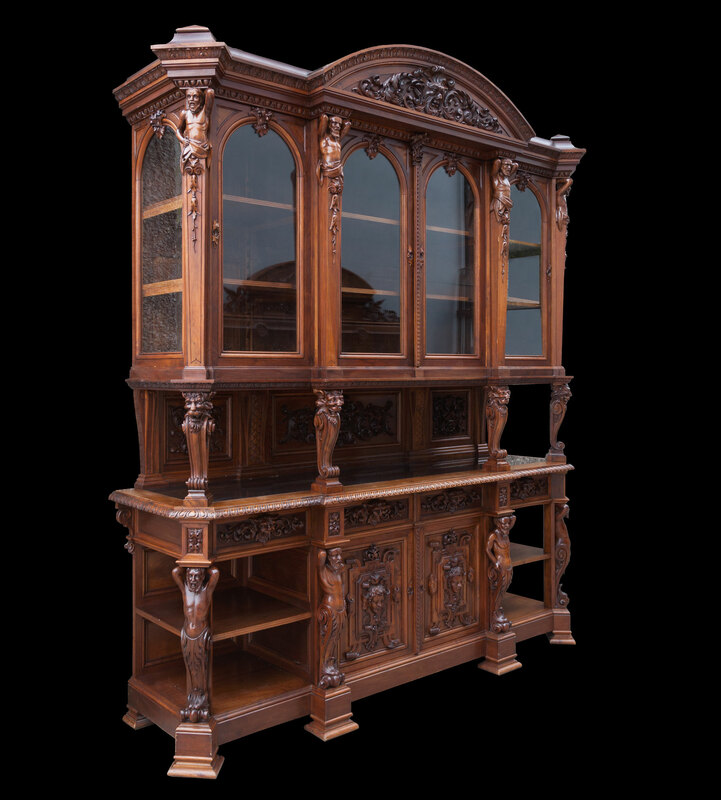 The lower section with two doors to the centre carved with female bacchante heads set within strapwork borders. The same male terms flank the shelf to either side. 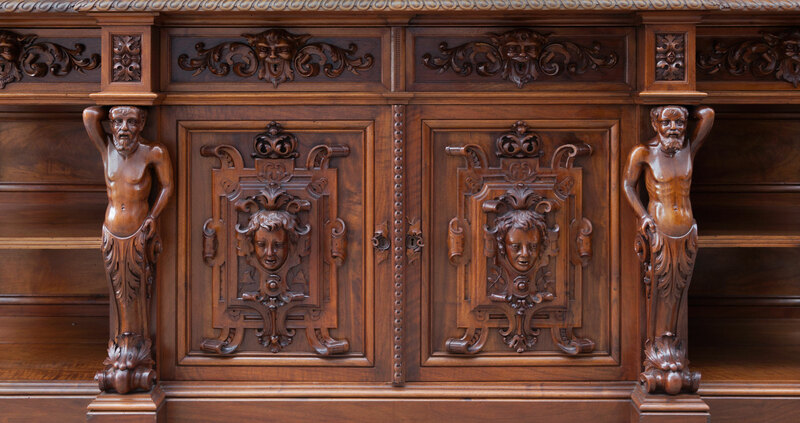 The frieze with foliated saturnalian masks to the drawers. The top gadrooned and set with Belgian Black marble. 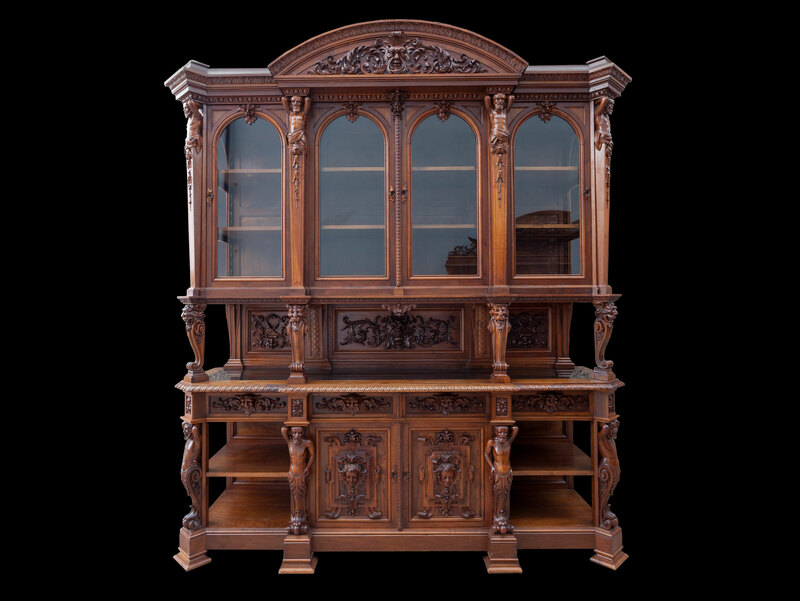 The back similarly elaborately carved and with lion’s head ‘s’ scroll terms supporting a four-door vitrine; the doors separated by bearded terms supporting the egg and dart frieze with a curved pediment containing a foliated Bacchic head. 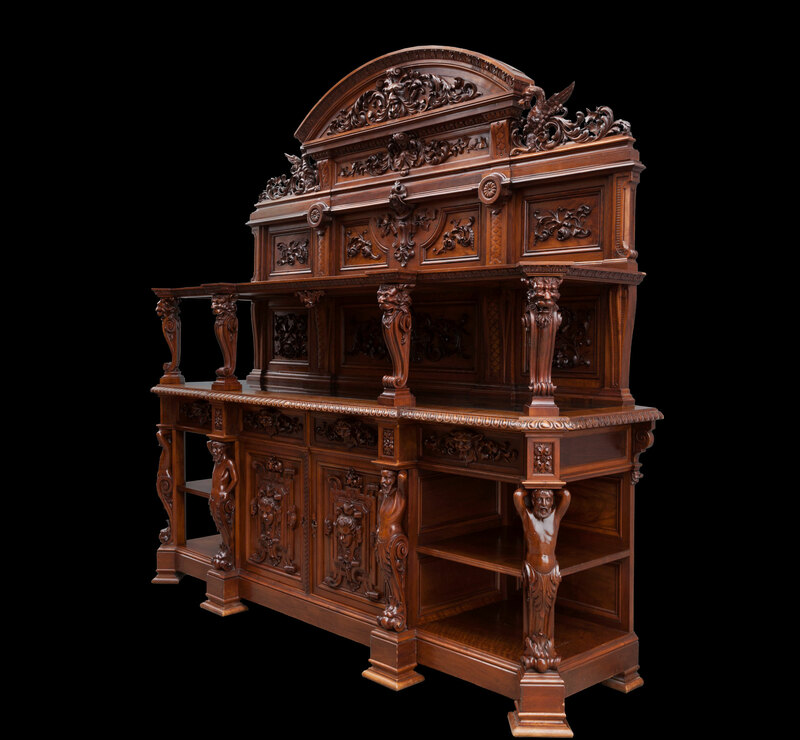 This is almost identically formed as the above but with panelling above the second shelf topped with a similar pediment flanked by foliated dragons. PROVENANCE: Bought in Portugal by Ryan & Smith from private family home. 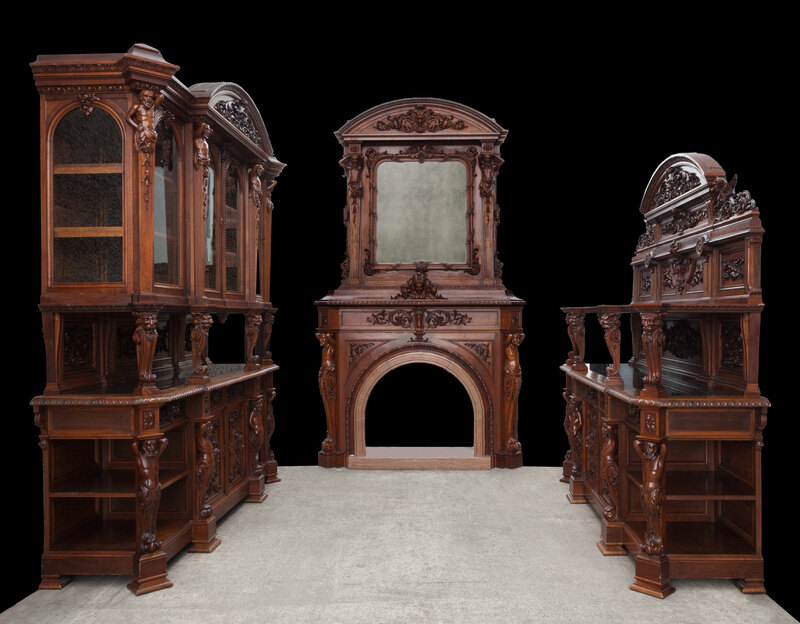 By family repute, this suite of furniture was bought at the Paris Exhibition in 1878. 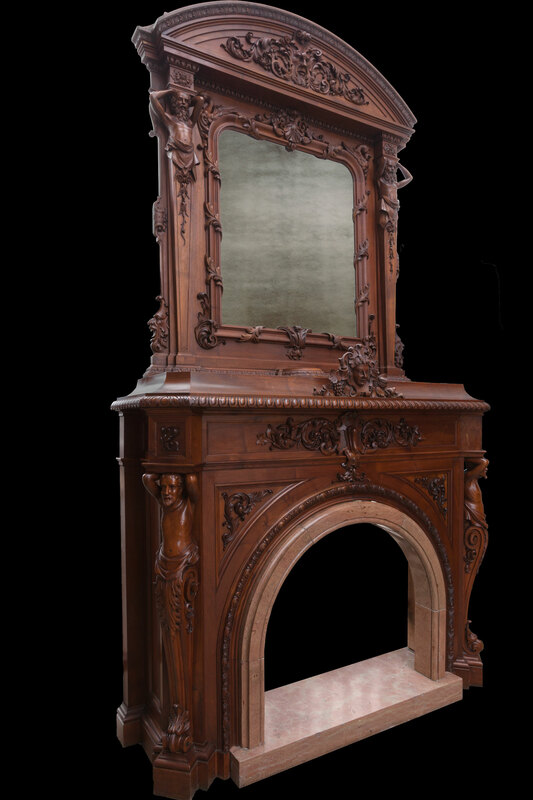 Probably by J. Herman, Brussels, as similar pieces by Herman feature in the 1880 Cinquantenaire Exhibition catalogue.